Calling shop owners anywhere and everywhere! If you have just opened a shop and are looking for a way to indicate your opening hours, or if you are just looking to revamp the aesthetic of your window, we have just the opening hours sticker for you! 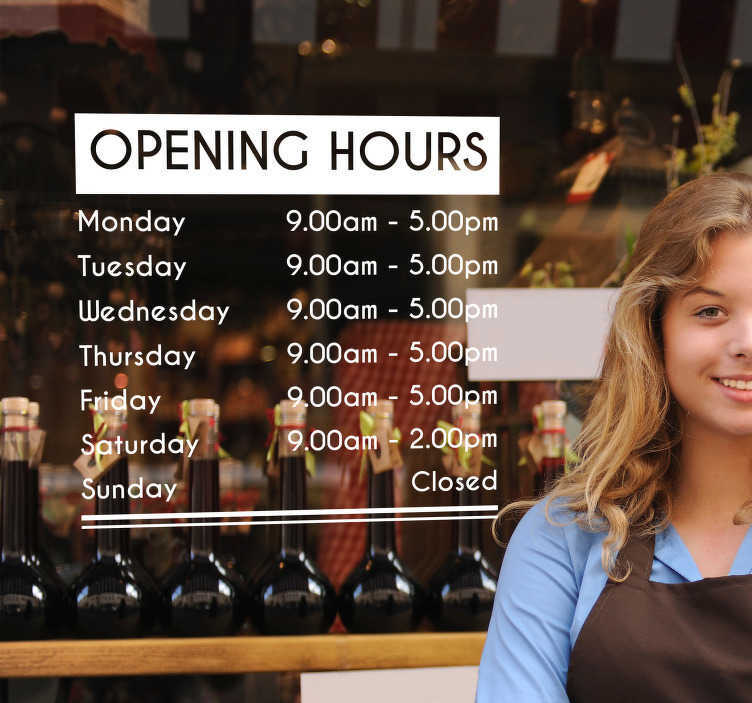 Perfect shop window decor for all business owners out there as it can be customised with the hours of your choice to indicate exactly when you are open! Choose your size, your colour and buy now!